These Brussels sprouts are anything but boring! 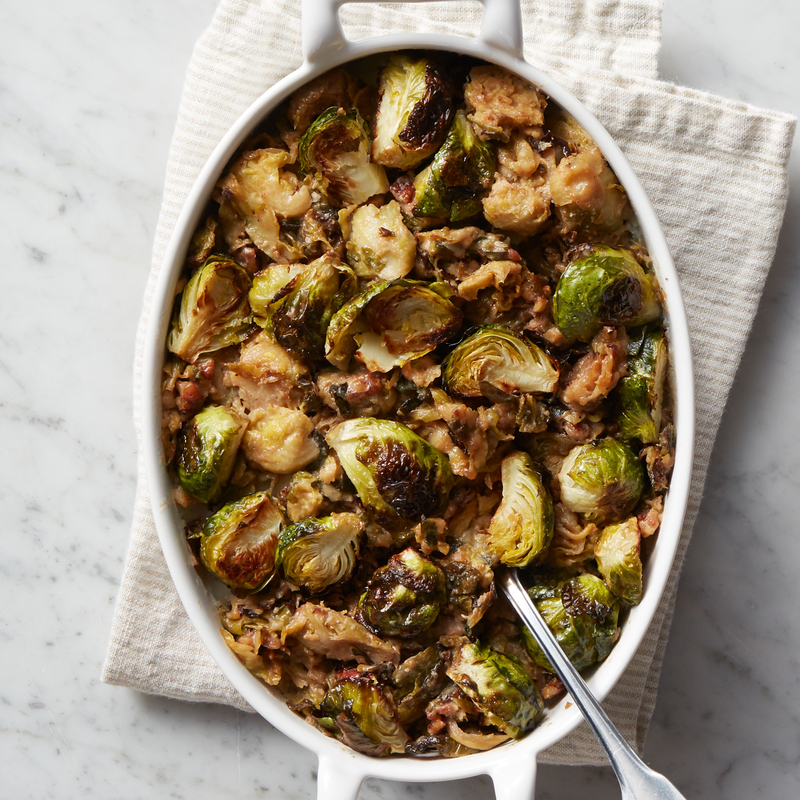 This side dish is made with tender Brussels sprouts mixed with cream and Gruyere cheese, seasoned with Kosher salt and black pepper, and topped with crispy bacon for a delicious casserole everyone will love digging into. Ships frozen raw.